Cate Henderson is an archivist in Montreal who is passionate about working with special materials such as music, sound, moving image, and multimedia formats. She has worked on archival projects with CBC, Musée des Ondes Emile Berliner, ArcMtl Archive Montreal, and CKUT radio. 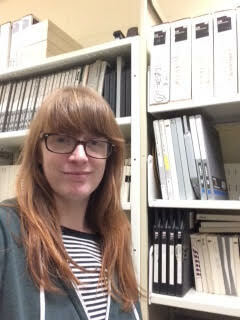 Her research interests are focused on digitization and preservation of sound and audiovisual items, analog and digital media asset management, and the importance and evolution of ephemera in music research.